Orphaned by an earthquake, three children come to England to live with their mean uncle and feeble aunt. Anna lives to dance – but her uncle forbids it. How will she survive without her one true passion? For Anna, everything in life has always taken second place to her burning desire to dance. Even the earthquake that destroyed her Turkish home hasn’t changed the way she feels. But now she’s stuck in a prim suburban household with an uncle who “doesn’t approve” of dancing. What can Anna do? Not only is there no-one to give her lessons, but there’s no money for them either – and anyway, dancing is forbidden. Will she ever be the ballerina she dreams of becoming? 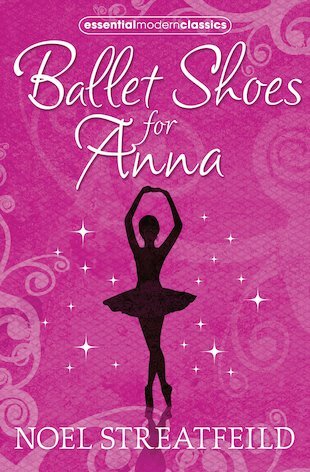 A heart-warming story of dance and determination, from the much-loved author of Ballet Shoes. STUNNING! AN ABSOLUTE CLASSIC, NOT TO BE MISSED! i love ballareenahs im so i have this in my house i byed it from my school !!! Winner of the Carnegie Medal for The Circus is Coming in 1938.